The SyFy Channel’s latest original series Helix, which airs Friday nights in the US, is turning out to be a multilayered labyrinth of a show. 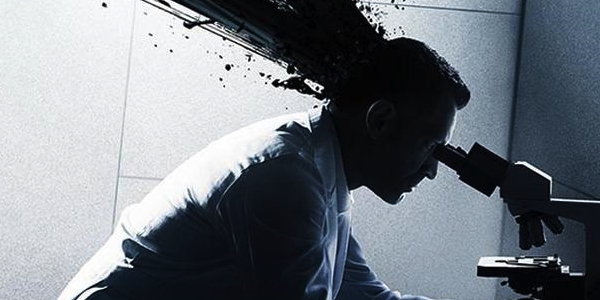 When SyFy first began promoting Helix, I was captivated by the (literally) mind-blowing poster.Since then, I tried to unravel what exactly it was about. Zombies? Scientific procedural? Lost-style isolation tale? Several episodes in, I’m still not sure exactly what this science-heavy show all about, and that’s half the fun. To recap the set-up, a team of CDC scientists is flown in to a remote Arctic lab to contain a mysterious viral outbreak. Once there, they are trapped. 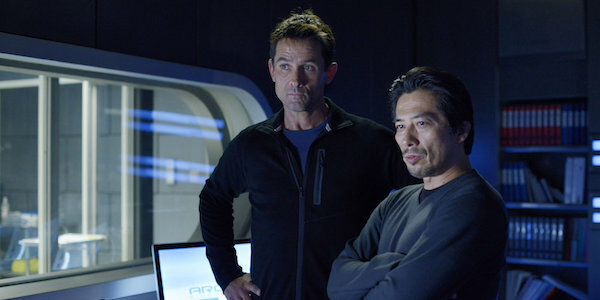 Alan Farragut (Billy Campbell) is the lead scientist, and his brother Peter is one of the Arctic lab’s scientists, who also happens to be infected. 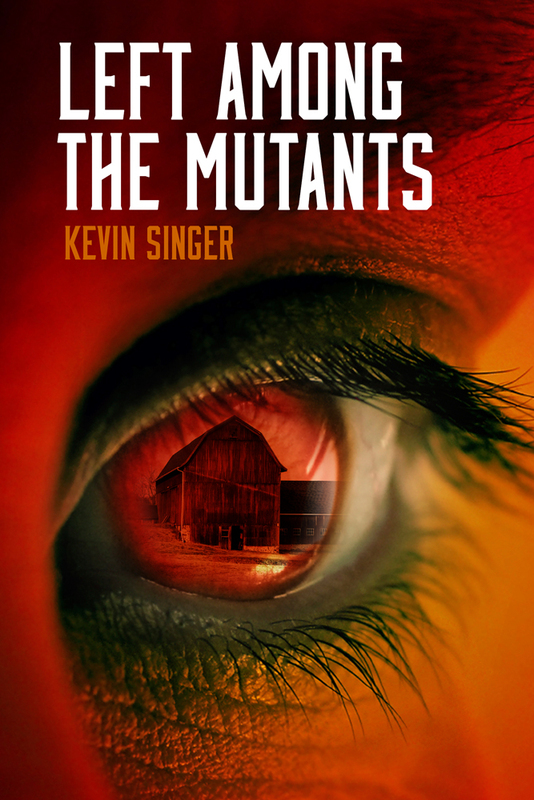 Alan Farragut’s team includes his ex-wife Julia Walker, who had an affair with Peter. Soapy and confusing. Luckily this aspect of the story has taken a backburner as the plot churns on. The series is getting a lot right. –We know the outbreak was engineered by lab head Hiroshi Hatake (Hiroyuke Sanada, a Lost alum), but we’re not sure what exactly it is, or why it was created. –The writers on Helix aren’t afraid to play rough with the characters. No one is safe. Farragut and Hatake isolated scores of researchers they suspected were infected, giving them essentially a death sentence. –Major characters are also at risk. I was shocked what happened to Doreen Boyle, a member of Farragut’s team. Likewise, big bad Constance Sutton (played by Star Trek: Voyager‘s Teri Ryan) proved less threatening in the end than she seemed. (And I loved the scene of her filing her own teeth down. Why??). –Julia Walker, Farragut’s ex-wife, could have been an annoying distraction. Instead she’s become fascinating. Infected by the virus, then mysteriously “cured” by Hatake, she’s revealed depth and determination. Adding to the mystery – is she really Hatake’s daughter? And what exactly has she become? 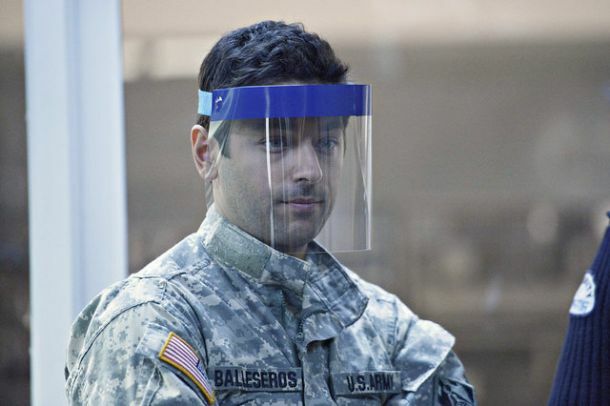 –One of my favorite characters on Helix is Major Sergio Ballaseros (Mark Ghanime). He’s duplicitous, murderous, and maybe even a touch remorseful. 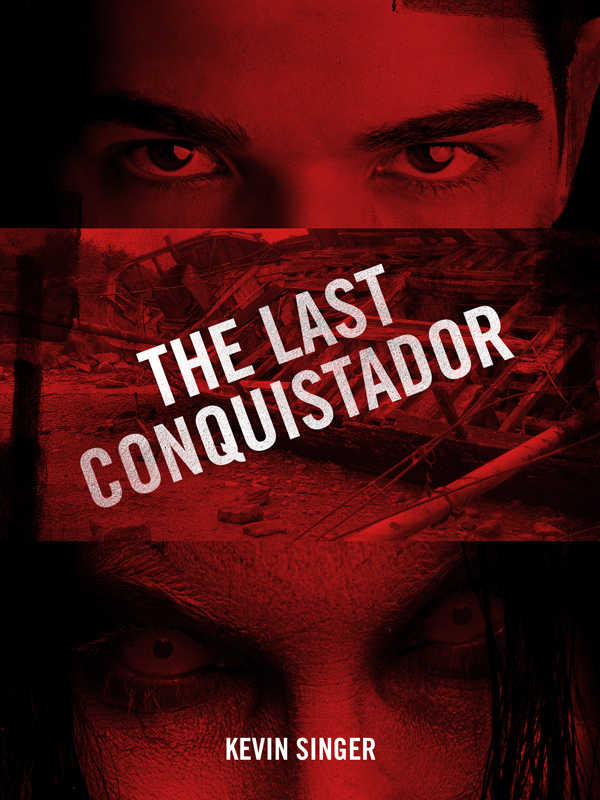 It’s a great portrayal of a mostly bad, complex character. –Likewise, Hatake isn’t quite the villain he seemed. He reminds me of Lost‘s Ben Linus – a flawed man for whom the ends justify the means. His motivation is still unknown. It’s compelling to watch. Another interesting aspect of the show is technical: the editing and the music. The scenes often seem a little off. They cut away too early, or they come in and out of focus, which keeps you slightly disoriented. It’s hard to understand without watching it; this article at TV.com explains it better than I can. And the music choices, well, just watch the opening credits, with the 1960s bossa nova soundtrack. I’ve referenced Lost a few times. That’s because Helix is similar to Lost in key ways. The mysteries unfold gradually, and the layers are onion-like. Character motivation is always in question, and the isolation heightens the drama. While it doesn’t have the emotional impact that Lost had, Helix is proving to be a fun addition to the sci-fi universe.